Supplier & Distributor of Coal Handling Plant. Our product range also comprises of Food handling Conveyors and Roller Conveyor. We offer Coal Handling Plant are highly applauded for their high performance, durability, high operational efficiency, low power consumption, corrosion resistance and low maintenance cost. 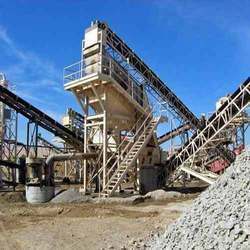 These coal handling plant are very essential for safe handling and easy loading & unloading. 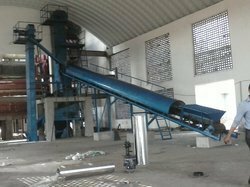 We fabricate and design these coals handling plant using optimum quality raw material based on latest technology techniques. Clients can avail from us at affordable price. We are leading manufacturer, supplier and exporter of coal handling plant in thermal power plant. Client can avail from us as per the custom requirment. We are leading manufacturer, supplier and exporter of 50 ton Coal Handling Plant. We are leading manufacturer, supplier and exporter of 2 ton Coal Handling Plant. We are leading manufacturer, supplier and exporter of 10 to 20 ton Coal Handling Plant. We are leading manufacturer, supplier and exporter of 15 to 25 ton Coal Handling Plant. We are leading manufacturer, supplier and exporter of 1 to 10 ton Coal Handling Plant.